To preserve the Second Amendment by educating the community on firearm safety and how to shoot proficiently through community events and by having a safe place to practice your shooting skills. We will promote the safe enjoyment of rifle and pistol shooting among our members, the general public, and expressly the youth of the Dunn county area. We will maintain and improve the Menomonie Public Shooting Range so that it will be available for future generations. 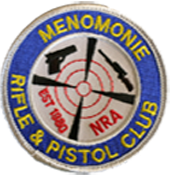 The Menomonie rifle and pistol Club,LLC was founded in 1982. That year, the club received permission from Dunn County to begin the maintenance and operation of the range. Form the beginning, the Menomonie Rifle and Pistol Club has partnered with the Dunn County Fish and Game Organization to manage and improve the range facilities at the Menomonie Public Shooting Range. In addition to operating and maintaining the range, the Menomonie Rifle and Pistol club hosts several events open to the public throughout the year. To see which upcoming events we are hosting, go to the events page. To see pictures and videos of our events, go to our Facebook Page. Unless otherwise indicated on the range calendar, monthly club meetings are held at 6:30 PM on the 1st Monday of the month. From April to October the meetings are held at the Menomonie Public Shooting Range (E6007 510th Ave, Menomonie, WI). From November through March, club meeting are held at the Dunn County Fish and Game Clubhouse (1600 Pine Ave East, Menomonie, WI). Members and prospective members are encouraged to attend. Being a member means that you are a part of something bigger than yourself by helping to preserve the Second Amendment by educating the community through an organization that promotes firearm safety and proficiency through community events and maintaining the shooting range for people to shoot safely at. As a member you also get to put forth your ideas and opinions on how to run the club and range. Menomonie Pistol and Rifle Club,LLC. The club is looking for club members to volunteer as supervisors at the Menomonie Public Shooting Range. Members may become supervisors after three months, providing they have attended at least two monthly meetings and successfully completed the supervisor training. This requires completing a supervisor training course (about 4 hours long), working with a supervisor for a total of 12 hours, and passing a written test. Supervisors are required to volunteer to supervise the range a minimum of 20 hours per calendar year to open, run, and/or close the Range. If you are interested, contact the club secretary at: Secretary.